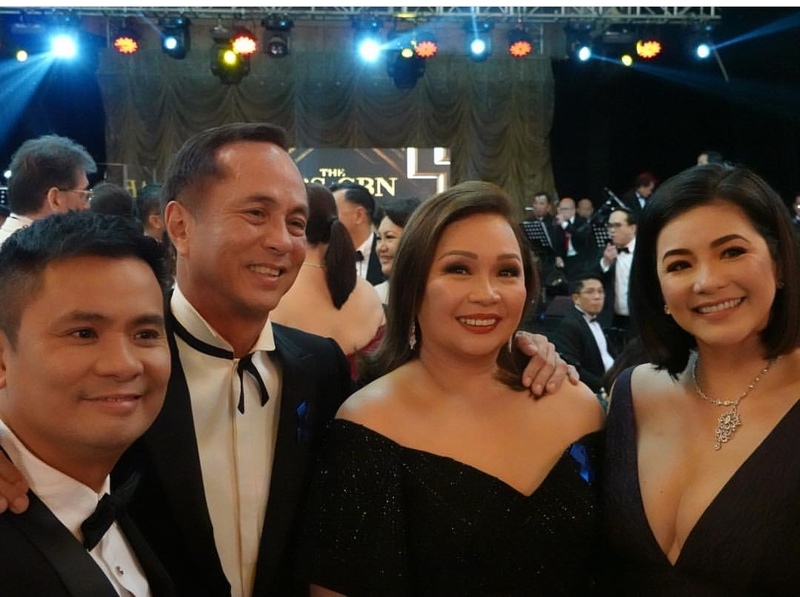 MANILA, Philippines – Amidst rumors of a network transfer, Kapuso prime singer Regine Velasquez attended the first ABS-CBN Ball with husband, Ogie Alcasid on Saturday, September 29. 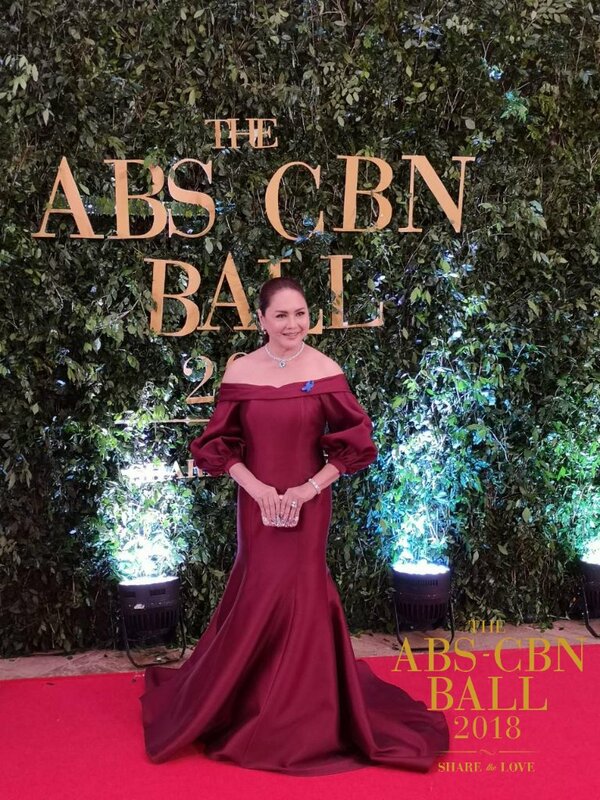 As some of the biggest stars of ABS-CBN gathered for a night of glitz and glamour, the arrival of Regine Velasquez also didn't go unnoticed. 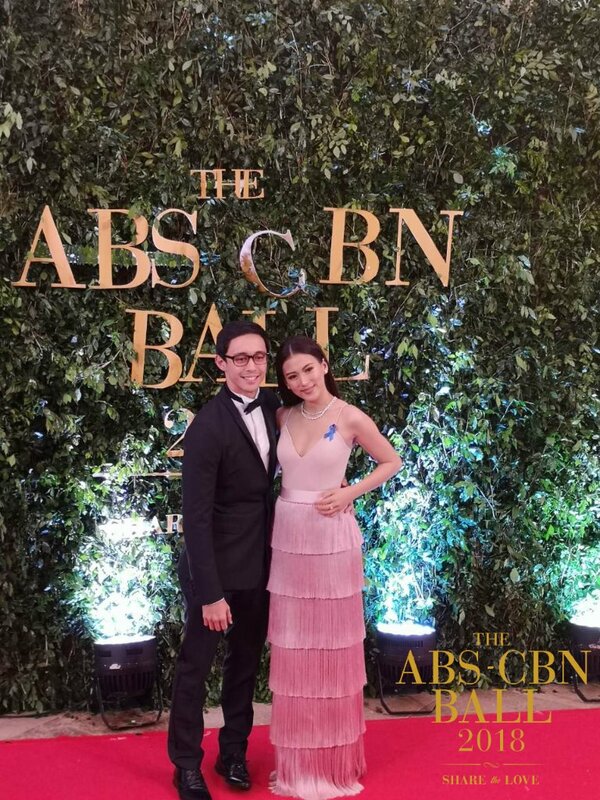 The GMA star attended the Ball with her husband, Ogie Alcasid and stepdaughter Leila Alcasid, fueling the rumors that she will soon transfer to the Kapamilya network. 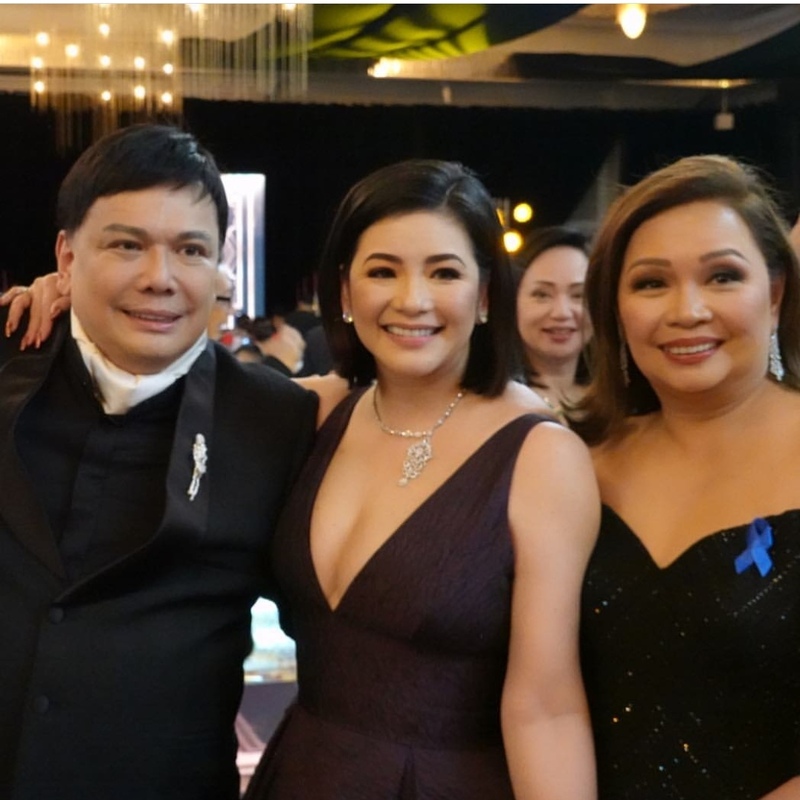 Photos of the Asia’s Songbird posing with ABS-CBN executives Gabby Lopez and Cory Vidanes had netizens asking if Regine will soon follow suit her husband. Regine is still hosting GMA-7’s reality show, The Clash but will air its grand finals tonight, September 30. 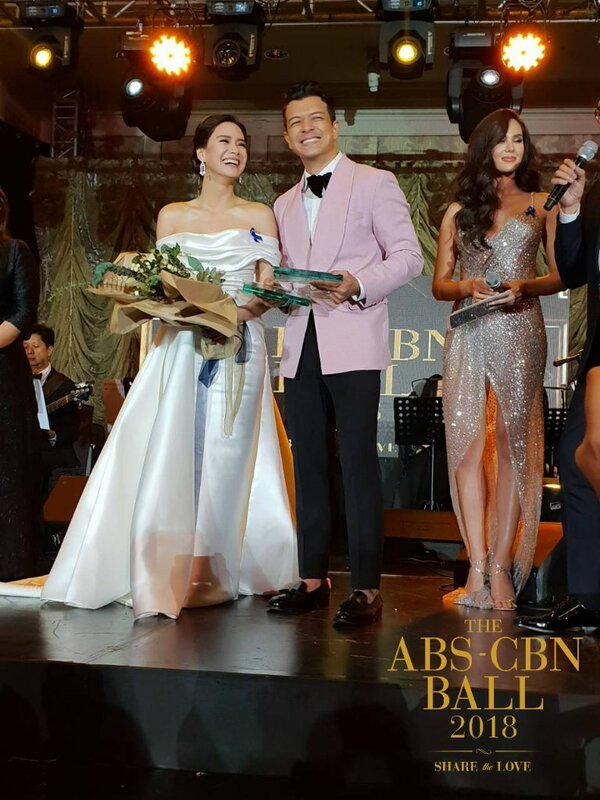 MANILA, Philippines – The biggest names in the showbiz industry gathered in the Kapamilya network's grandest formal affair with a cause, the first ABS-CBN Ball on Saturday, September 29, 2018 at the Makati Shangri-La Hotel. 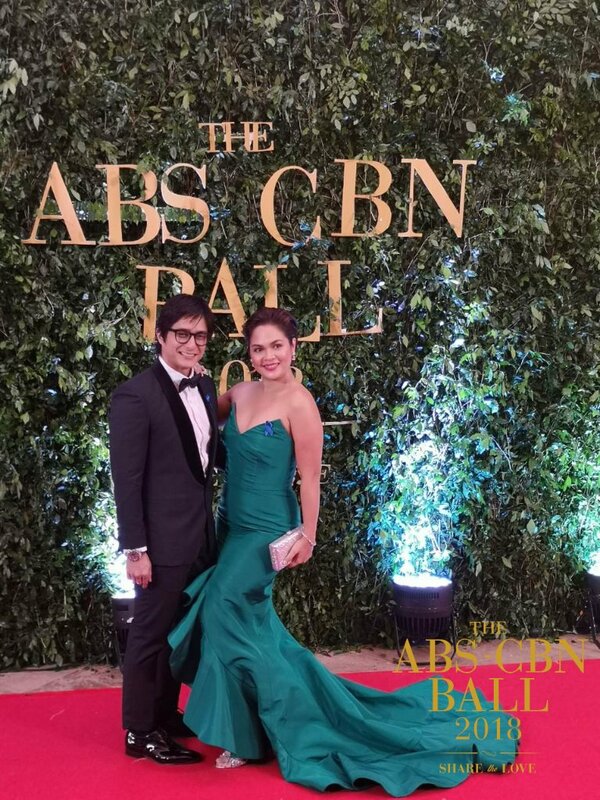 Top Kapamilya executives were first on the red carpet Saturday as they opened the event. 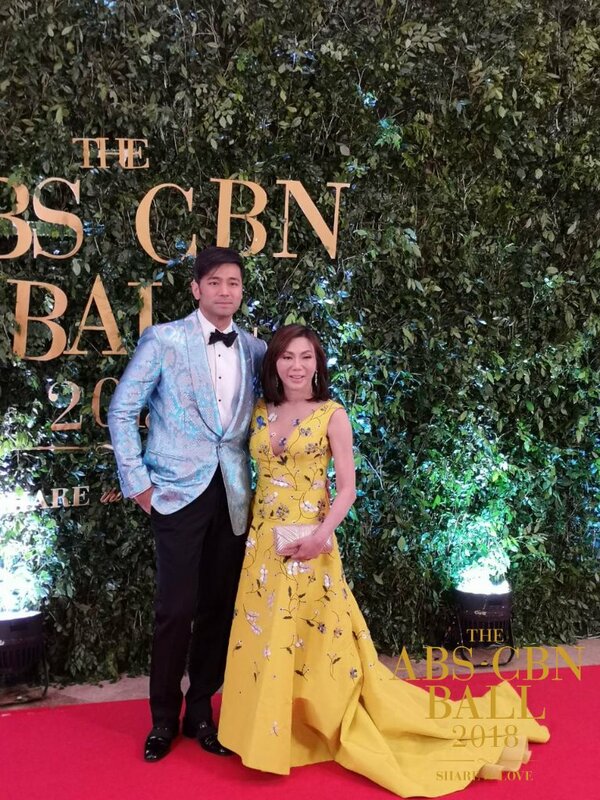 ABS-CBN chairman Mark Lopez, president and CEO Carlo Katigbak, and COO of Broadcast Cory Vidanes walked together, in the public’s first look of the highly anticipated ball. 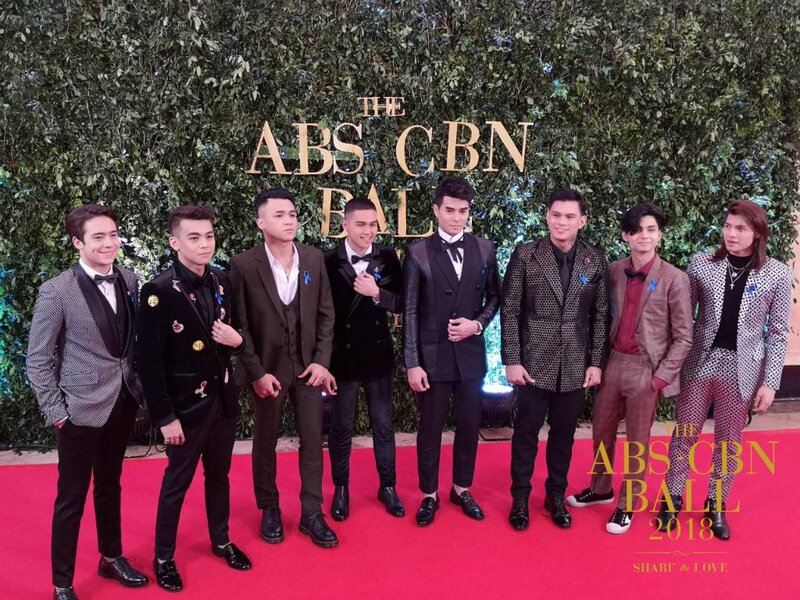 The ABS-CBN Ball is the stage for the country’s biggest stars to come together and celebrate a night of fashion, friendship, and advocacies. 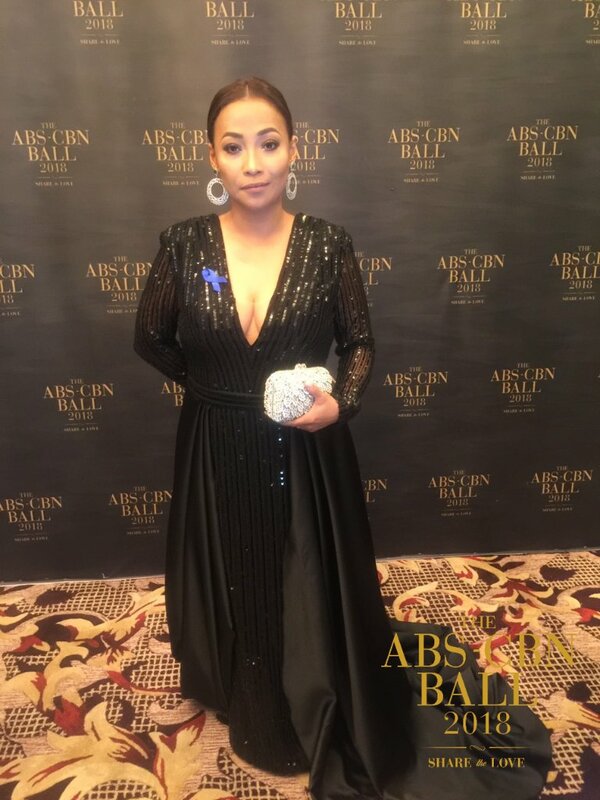 With the theme “Share the love,” the ABS-CBN Ball 2018 is dedicated to the relaunch of the Bantay Banta 163 Children’s Village, a halfway house for children rescued by Bantay Bata 163 where victims of abuse are cared for towards their healing and recovery. 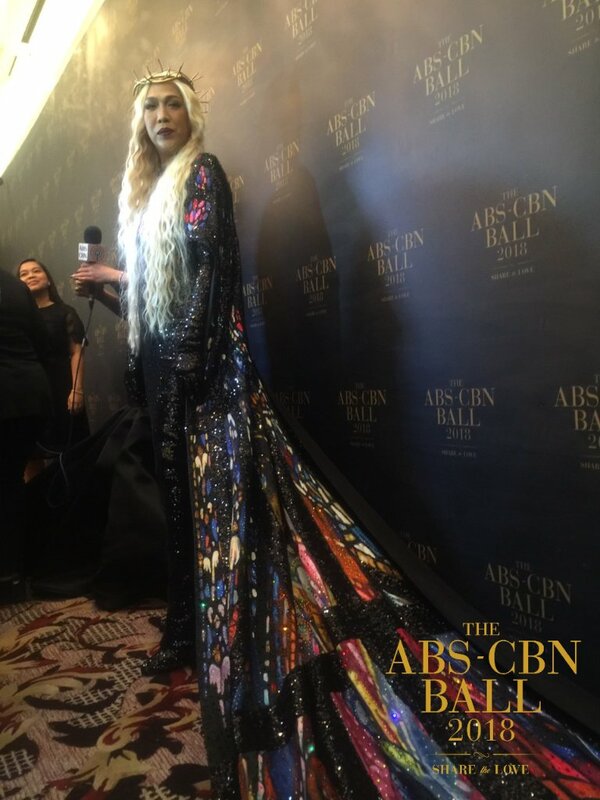 Joining the glamorous celebration are top artists Vice Ganda, Anne Curtis, Pia Wurtzbach, Judy Ann Santos, Sarah Geronimo, and Ian Veneracion. 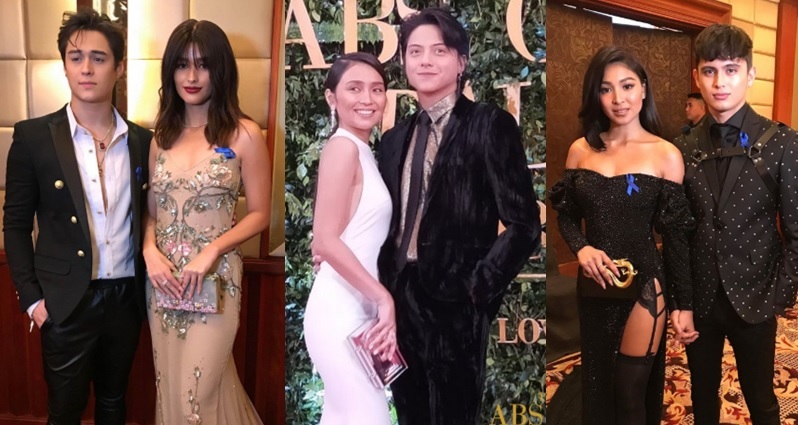 Catch ABS-CBN’s hit loveteams, Kathryn Bernardo and Daniel Padilla (KathNiel), James Reid and Nadine Lustre (JaDine), Joshua Garcia and Julia Barretto (JoshLia), Maymay Entrata and Edward Barber (Mayward), and Liza Soberano at Enrique Gil (LizQuen) in one event. 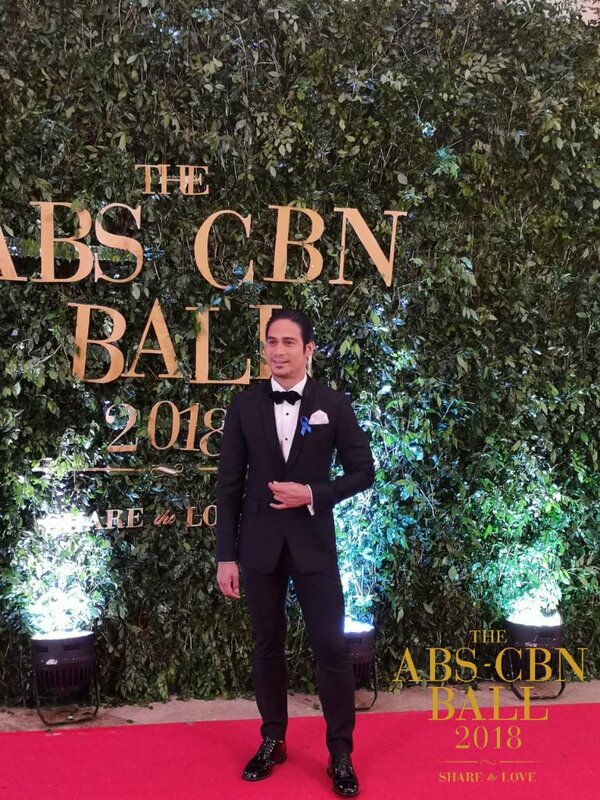 MANILA, Philippines – The final list of candidates vying for ABS-CBN Ball 2018 Fan Fave award has been revealed. 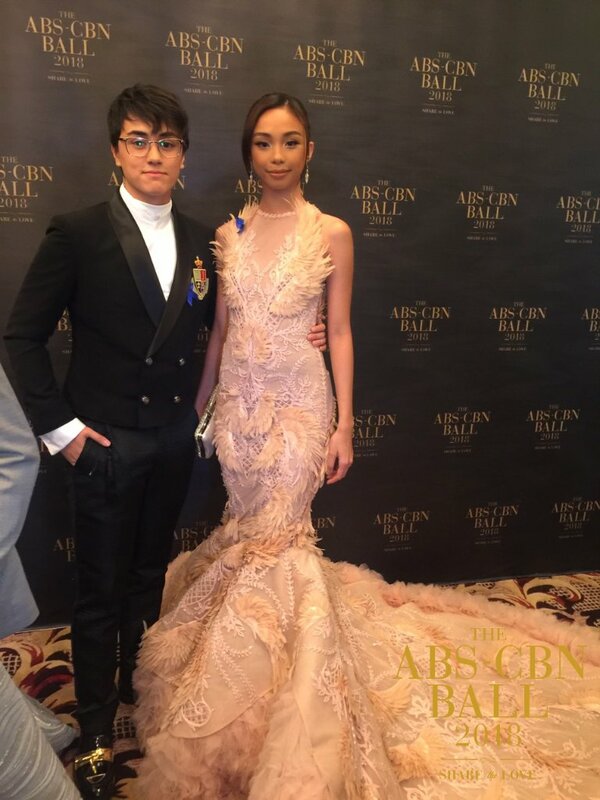 Today's hottest young stars Maymay Entrata and Edward Barber (Mayward loveteam) lead the shortlist for social media voting. 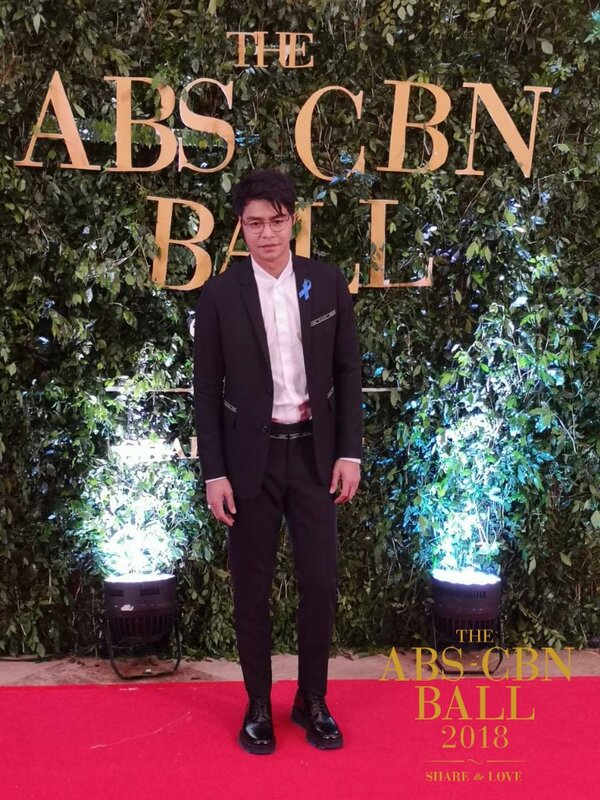 It was followed by Kisses Delavin, Vivoree Esclito and Donny Pangilinan. 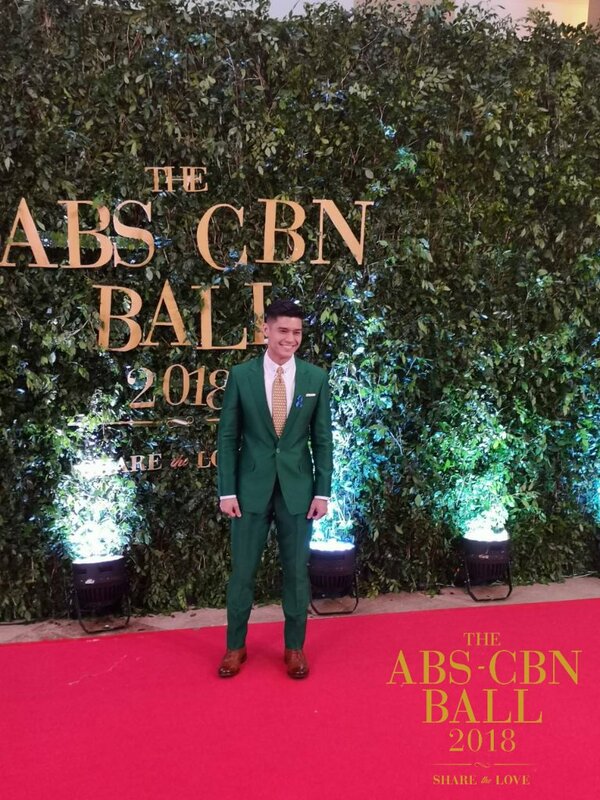 Fans are encourage to vote their idol through abscbnball.com. SHORTLIST: Who is your favorite Kapamilya Artist from the Final 20 below? 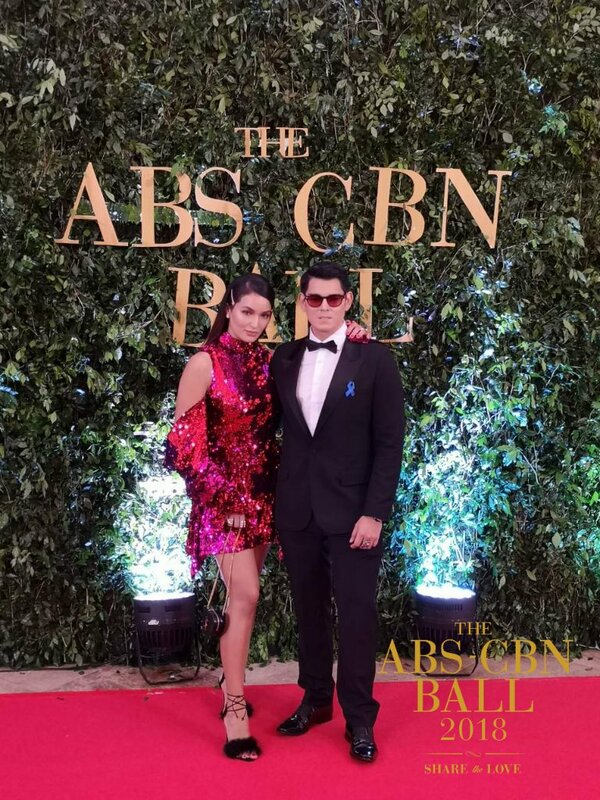 Joining the glamorous celebration are prime artists Vice Ganda, Anne Curtis, Pia Wurtzbach, Judy Ann Santos, Sarah Geronimo, and Ian Veneracion. 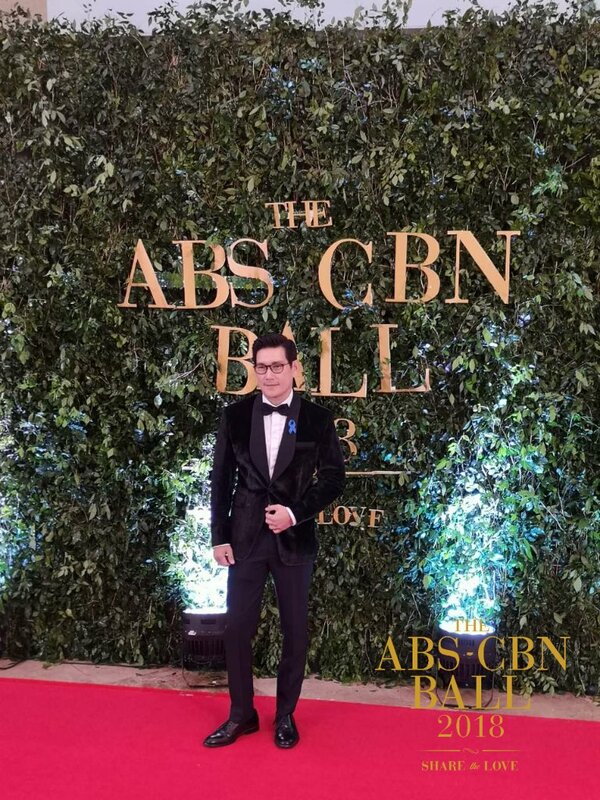 MANILA, Philippines – The biggest gathering of Kapamilya stars happens tonight, September 29 in the ABS-CBN Ball in Makati City. 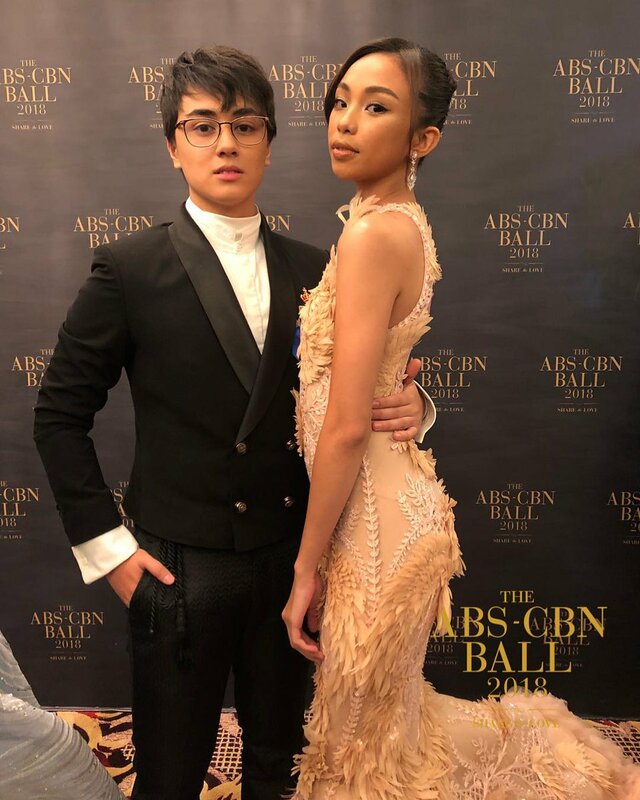 Witness the best and most stunning looks of different artists through red carpet coverage and livestream. 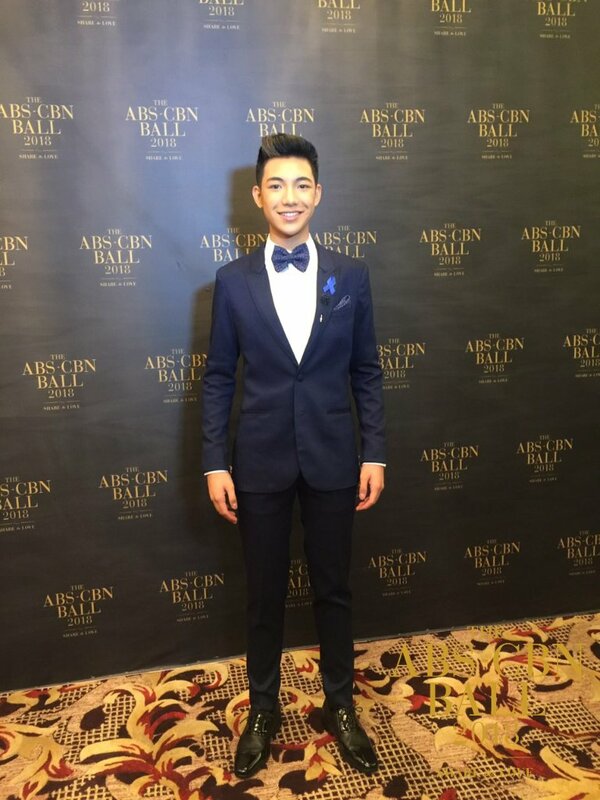 The first ABS-CBN Ball aims to relaunch the Bantay Banta 163 Children’s Village. 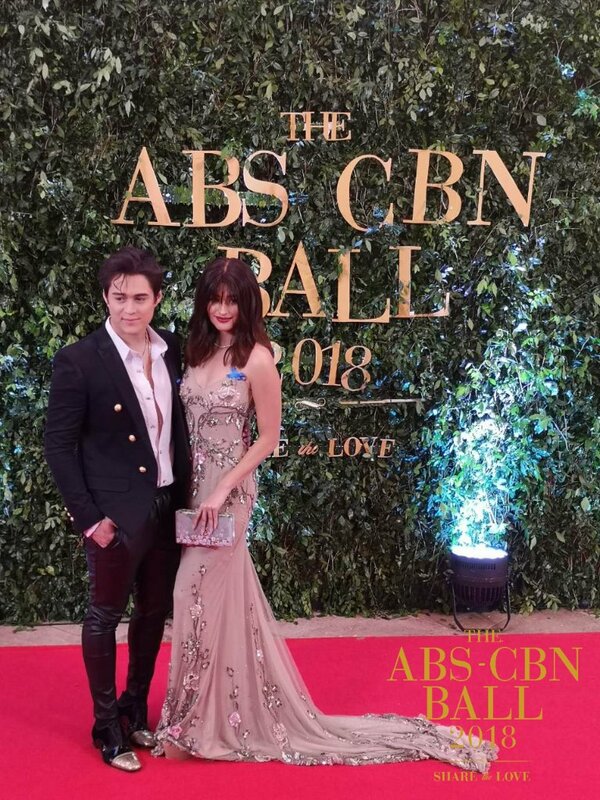 Catch ABS-CBN’s power loveteams, Kathryn Bernardo and Daniel Padilla (KathNiel), James Reid and Nadine Lustre (JaDine), Joshua Garcia and Julia Barretto (JoshLia), Maymay Entrata and Edward Barber (Mayward), and Liza Soberano at Enrique Gil (LizQuen) in one event. 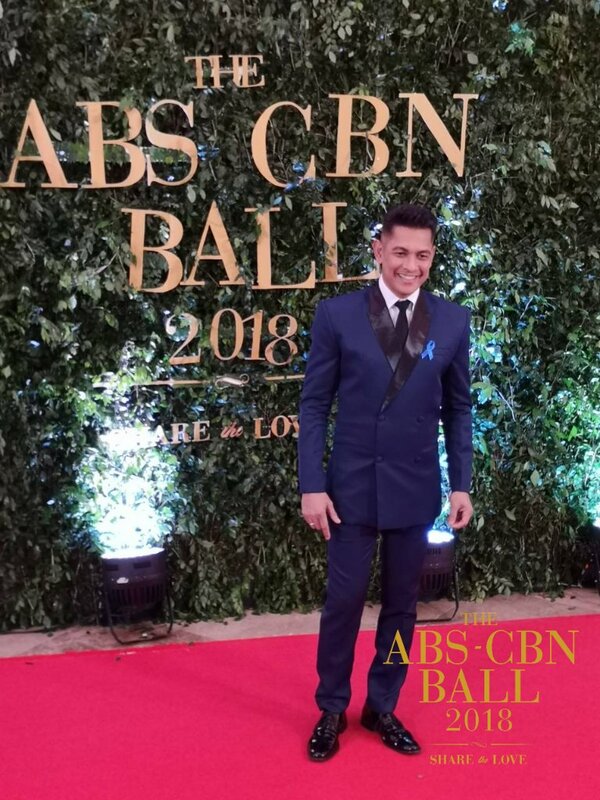 Master of couture Rajo Laurel, international model, coach, and “Women of Style” host Joey Mead-King, and premium eventologist and host Tim Yap open the coverage talking about elegant gowns and dashing suits with esteemed fashion insights. 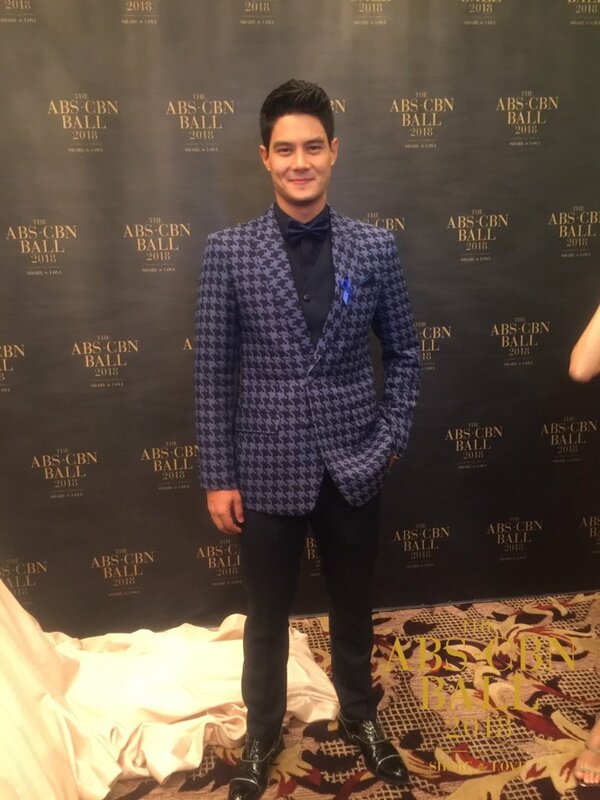 MYX VJ and talk show host Robi Domingo will give viewers a ‘first look’ as the Kapamilya celebrities arrive at the venue while Star Patroller Gretchen Fullido will be interviewing the stars on the red carpet. 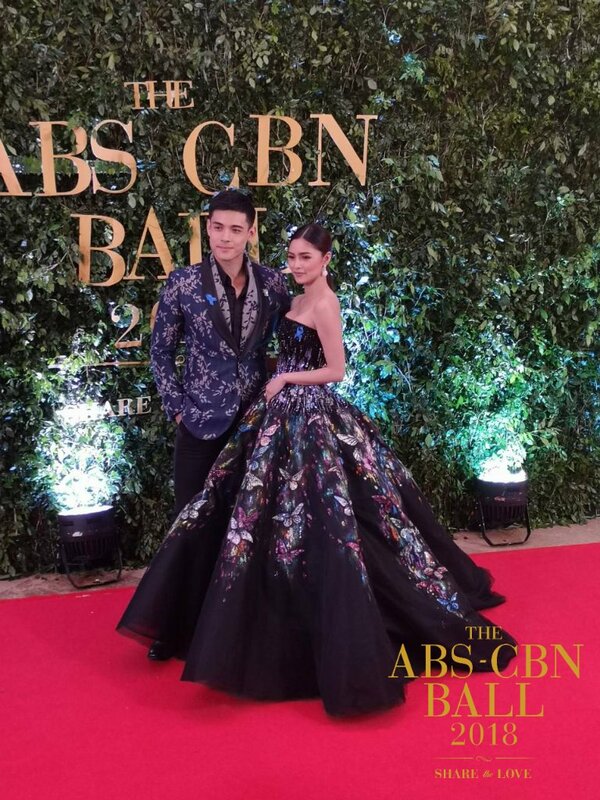 How to watch ABS-CBN Ball 2018? 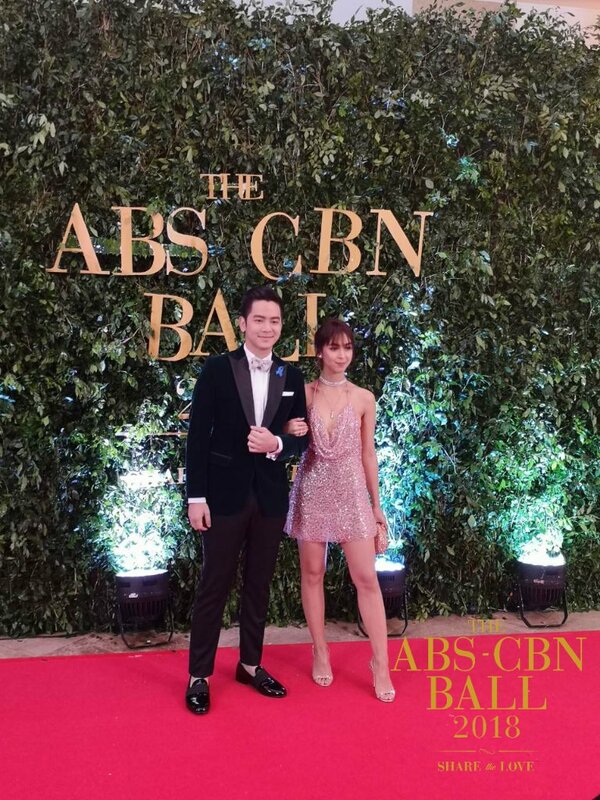 Catch all the happenings at the ABS-CBN Ball as they unfold by tuning in to Metro Channel with a primer at 5 PM followed by the live red carpet coverage at 6 PM. Metro Channel (SKYcable ch. 52 and ch. 174 on HD) is the home of chic living from the country’s authority in style, Metro. 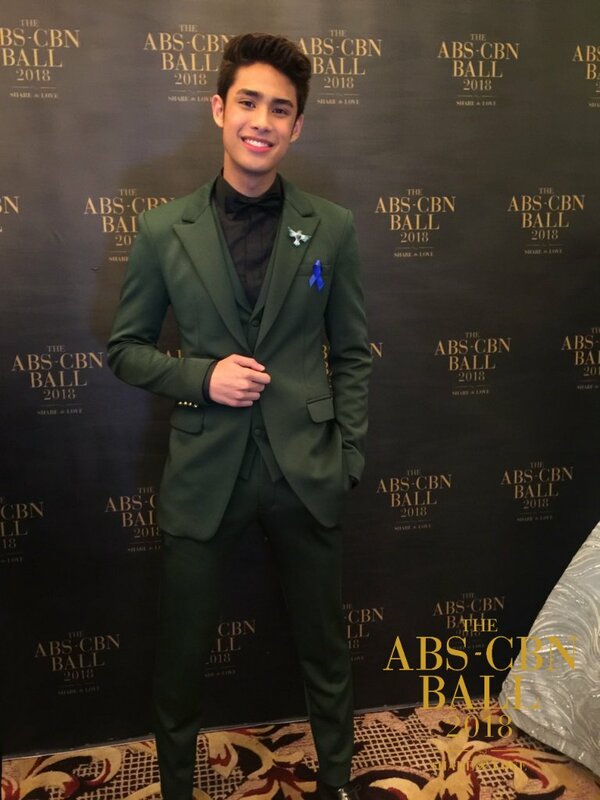 Kapamilyas may also witness the happenings online via Metro.Style’s YouTube channel from 5 PM onwards. 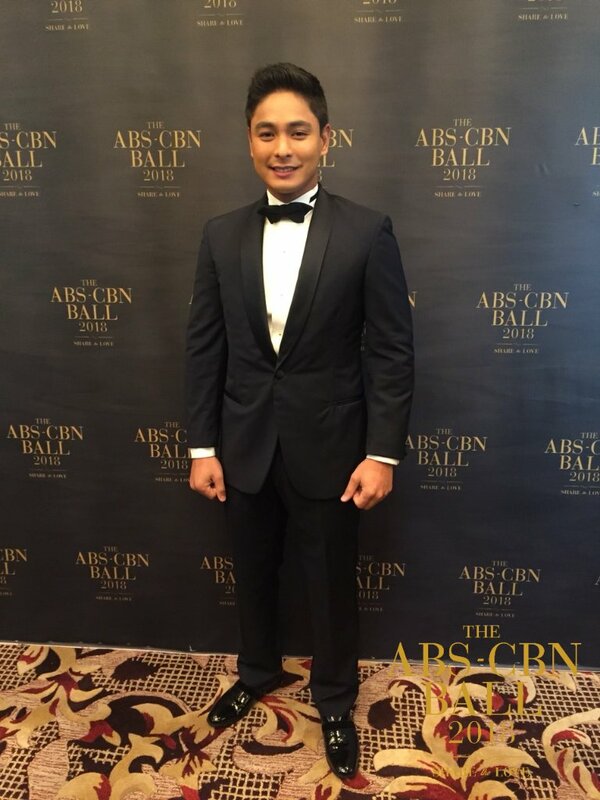 Viewers may likewise watch the red carpet live on ANC at 6 PM. It will be available on SKY On Demand from October 1 to December 31. For KBO viewers, simply register using any prepaid or postpaid SIM. For prepaid, just load up (Globe, TM, Smart, Sun, TNT) with P30; press the green / INFO button on your TVplus box remote to get your box ID; then text KBO30 SEPT29 to 2366. For Global users, watch on livestream here. MANILA, Philippines – Makati Regional Trial Court (RTC) Branch 148 deferred its decision to issue a warrant of arrest and travel ban for the non-bailable case of coup d’etat against Senator Antonio Trillanes IV on Friday, September 28. 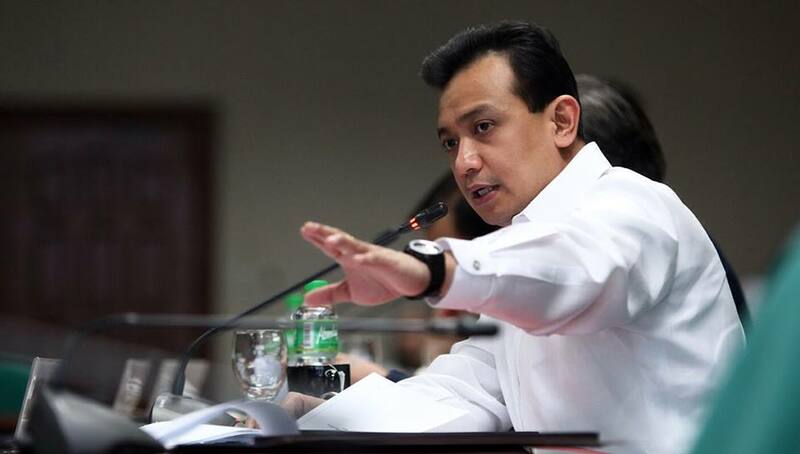 A Makati RTC branch has deferred its decision on the Department of Justice (DOJ) request to issue an arrest warrant against Senator Antonio Trillanes IV. Trillanes' lawyer Rey Robles sighed his relief and confirmed that Makati RTC branch 148 Judge Andres Soriano decided to set another hearing on October 5. Judge Soriano explained that the scheduled hearing will be an opportunity for both camps to present proof and evidences of their claims. Speaking before the press, Trillanes said he is ready to leave the Senate. The senator has been in the Senate building for 3 weeks following Duterte’s Proclamation No. 572 which voids his amnesty for his uprising back in 2003 and 2007. Makati RTC branch 150 under Judge Elmo Alameda granted the DOJ’s request for an arrest warrant and hold departure order for rebellion charges last Tuesday, September 2. 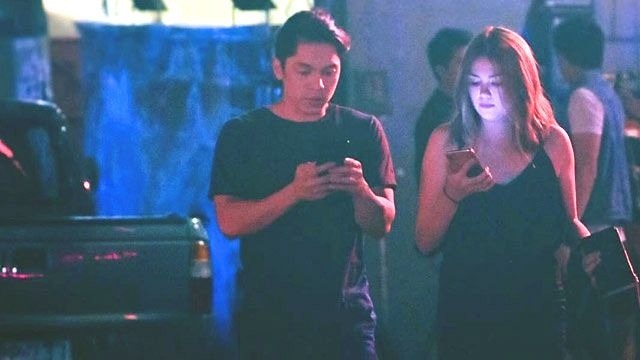 Marking the reteaming of former love team, Angelica Panganiban and Carlo Aquino, “Exes Baggage” tackles the romantic relationship gone bad between Nix, a furniture designer, and Pia, a broker. Meeting in a bar one night, the two eventually falls in love with each other. But they soon realize that while quicky jumping into a committed relationship is easy, staying together when the honeymoon phase is over is a so much more difficult, especially when they’re both still dealing with the ghosts of their previous relationships. Directed by Dan Villegas, with the screenplay written by Dwein Baltazar, “Exes Baggage” highlights the need to fully heal from the hurt brought by a failed relationship before jumping into a new one because one can never really start over without wiping out the slate clean. 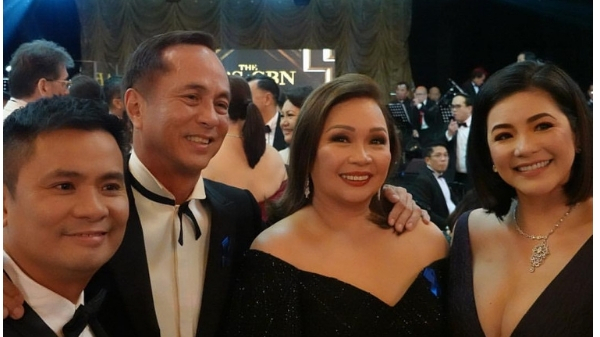 It would be an understatement to say that the main selling point of the film is Panganiban and Aquino’s team-up - whether that be because their real-life history blends well with the film’s theme or the two’s impeccable acting. They easily sold the idea that a random night-out can easily lead into a passionate love affair. The attraction between Nix and Pia from the get-go was so palpable that it perfectly set-up what would be their whirlwind romance. 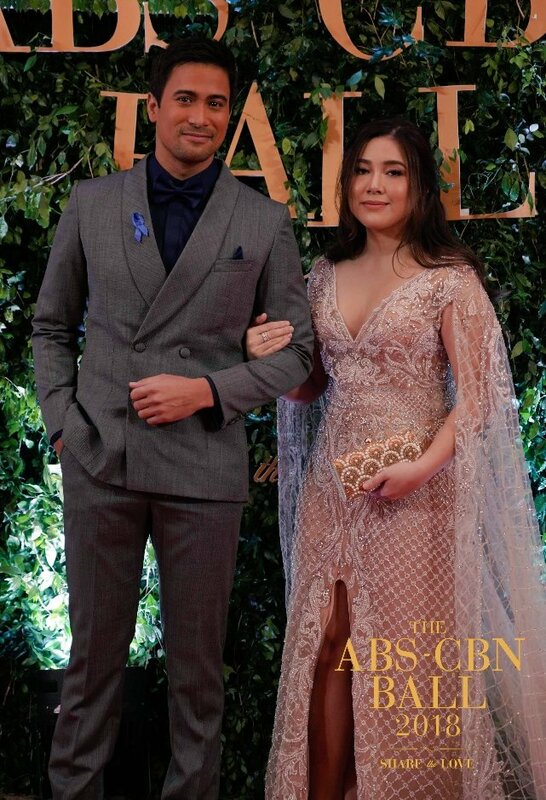 Villegas veered away from too produced shots (other than the intimate scene between the lead characters at the start of the film) giving it a very realistic feel which worked well with the film’s narrative which is both relatable and insightful for many. Overly romanticized scenes were limited and the dialog felt organic given the pair’s personalities. Further, the structure of the film was solid especially for one that didn’t follow the linear form of storytelling. Utilization of time-warps are tricky, and it could easily mess up the whole plot to the point that at the end of the film, it’s as if nothing was resolved and there was no story arc for the characters (“The Hows of Us” was victim of this), but “Exes Baggage” cleverly used flashbacks as way for the audience to better understand where Pia and Nix were coming from when they started talking about their complicated relationship. While Exes Baggage depicted a clear picture of the ups and downs of a real-life relationship, it didn’t go deep enough to establish both Nix’s and Pia’s psyche in an effort to better understand both characters. At one point in the film, Nix talked about Pia having many issues which is something he just couldn’t deal on a regular basis. This was a main contributor to their eventual break-up, but those so-called issues were basically glossed-over except for Pia’s supposed insecurities, which in the end, was revealed to have merit given that he was still hung up with his ex. All the build up to their hinted reunion felt rushed an unearned. 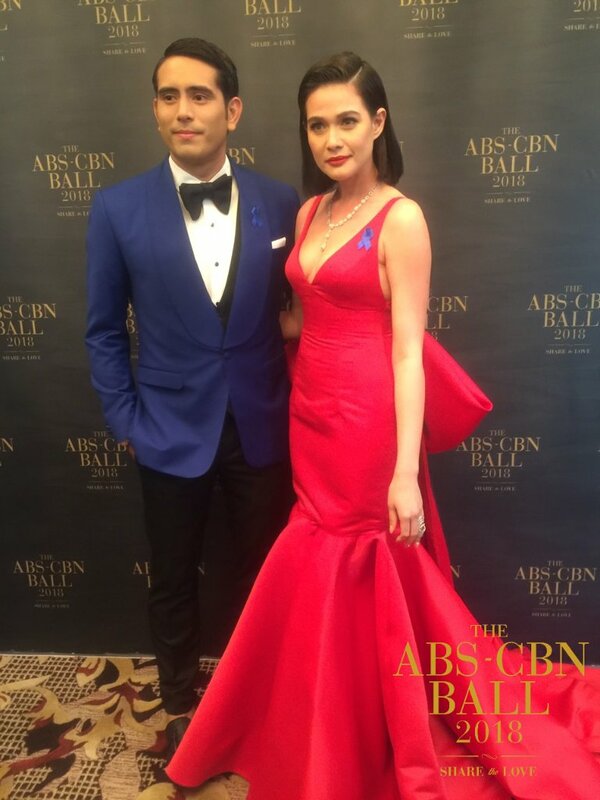 It’s quite difficult to believe that after just a couple of drinks, a short chit-chat and a memory-laden song, they quickly realized that they’re both willing to give their relationship another go despite the fact that they’ve both moved on, with Pia even in what seemed like a good relationship. 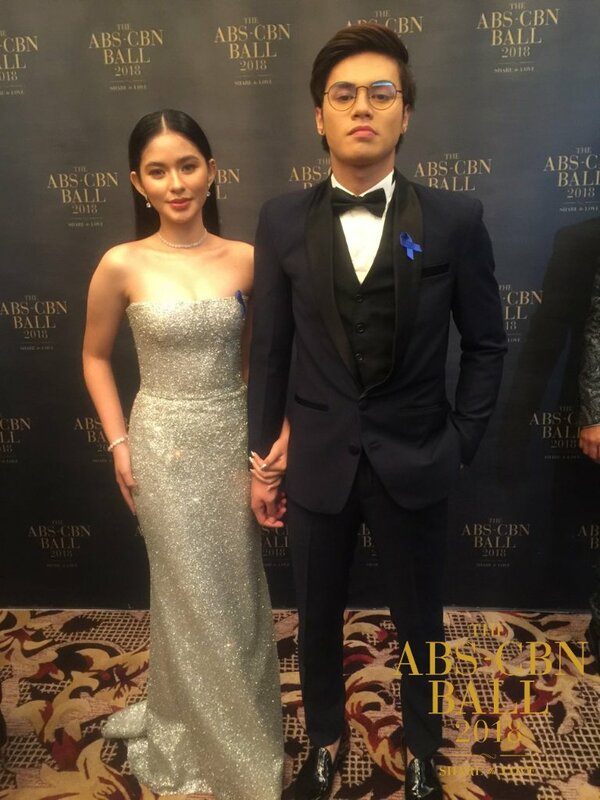 The transition from awkward exes to flirty ones was so sudden, and by the end of the night, they were both willing to be involved again without even trying to address all the issues that broke them apart in the first place. At this point, “Exes Baggage” was pretty much caught in the illusion a romantic film trope, which was a shame considering that up until that point, the movie firmly established that its narrative is grounded in reality. “Exes Baggage” wasn’t a complete film - because of its cliffhanging ending, but because it felt like while Pia and Nix were both willing to get back together, there’s a mountain of issues that they need to tackle before they get involved with each other again. Whether or not that was the vibe that the folks behind the film was going for remains to be seen, but they sure left the door wide open for a possible sequel. The Department of Education has been under fire by teachers’ group due to the implementation of DepEd Order No. 42, s. 2016, or the Policy Guidelines on Daily Lesson Preparation for the K to 12 Basic Education Program. The Teachers’ Dignity Coalition and Alliance of Concerned Teachers (ACT) called out DepEd for their policies that have caused “excessive workload” to teachers. Among their complaints include the implementation of Results-Based Performance Management System (RPMS), classroom observation of teachers, long working hours and implementation of the Daily Lesson Log (DLL). DepEd explained, that the use of Daily Lesson Log (DLL) will enable teachers to uphold quality education standards will even help them plan their lessons efficiently. The education secretary appealed to the teachers as she stood firm that their agency does not exist to make them suffer. 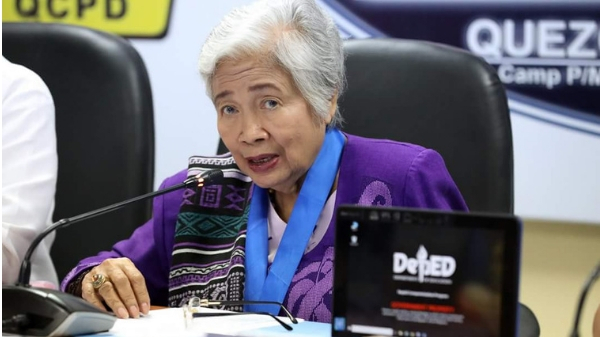 “All these problems are not created by DepEd alone,” Briones said. DepEd stated that as of now, they cannot “arbitrarily order” the suspension of their programs. 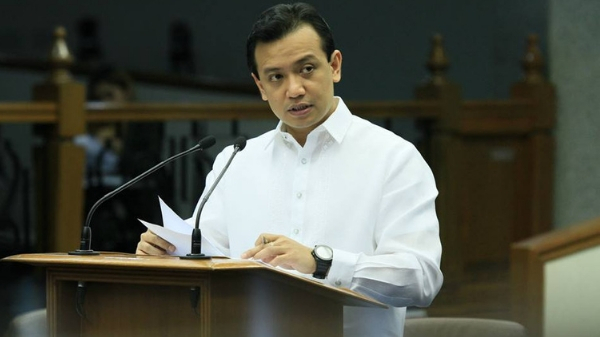 MANILA, Philippines – Senator Antonio Trillanes IV admitted that he is still hoping for a “miracle” that can save him from arrest. Trillanes appeared before the press after posting bail of P200,000 for the rebellion charges after Makati Regional Trial Court (RTC) Branch 150 served his warrant of arrest on Tuesday, September 25. Aside from the rebellion case, a non-bailable, separate coup d'etat charges were also filed by the Department of Justice (DJ) at the Makati RTC Branch 148 for the “Oakwood mutiny” in 2003. The senator said, “Wala na eh, as it is, milagro ang inaantay natin from (Makati Regional Trial Court) Branch 148. We're kumbaga, slightly more hopeful but we have to expect for the worst." However, Trillanes didn’t mince his words when he lambasted President Duterte who he believes had a hand in his arrest. He described his enemy as “demonyo,” so he is expecting nothing but the worst. He also blasted Duterte for using his influence and power to silence him. Trillanes said, “That’s very obvious. Ito talagang ginagamit niya na 'yung impluwensiya ng kaniyang opisina para baluktutin ang kailangan baluktutin para magawa at makamit ang kagustuhan niya." 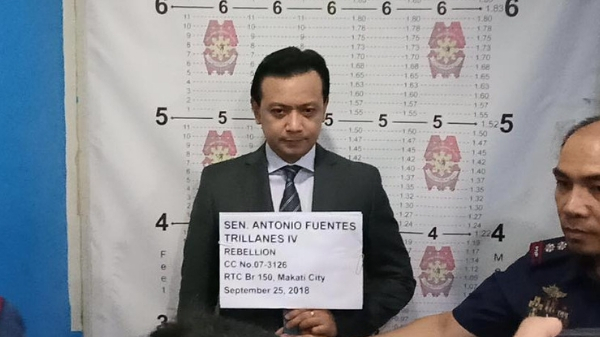 Presidential Spokesman Harry Roque said that the Palace is pleased that Trillanes is complying with the processes after the senator followed the booking procedure and posed for his mugshot at the Makati Police Station. For now, the former mutineer will continue to remain at the Senate after the court granted him temporary liberty.